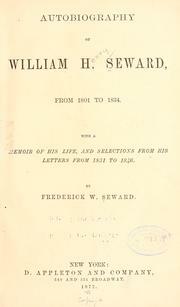 Are you sure you want to remove Autobiography of William H. Seward, from 1801 to 1834 from your list? 1877, D. Appleton and Co. 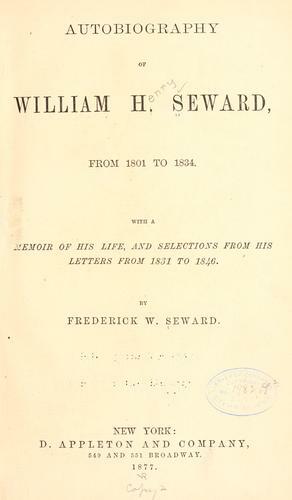 Autobiography of William H. Seward, from 1801 to 1834.: With a memoir of his life, and selections from his letters from 1831 to 1846.